When it comes to developing a custom WordPress theme for your business website, the most common dilemma you face is whether you should hire an in-house WordPress development team, do it on your own (in case you’re an expert WordPress developer) or simply go full outsourcing. Isn’t it? No matter how easy and cost-effective keeping the work in-house seems at first, it eventually ends up in an extremely stressful, mind-boggling and grueling experience. And, if you have ever tried your hands at coding a web page in the past, then you must already know how energy and time-consuming process it is. Given these facts, you ultimately have only one option left and that is Outsourcing. If you’re wondering how outsourcing is better than other two ways, check out the following eight reasons stating the perks of outsourcing WordPress theme development to a reputable agency. 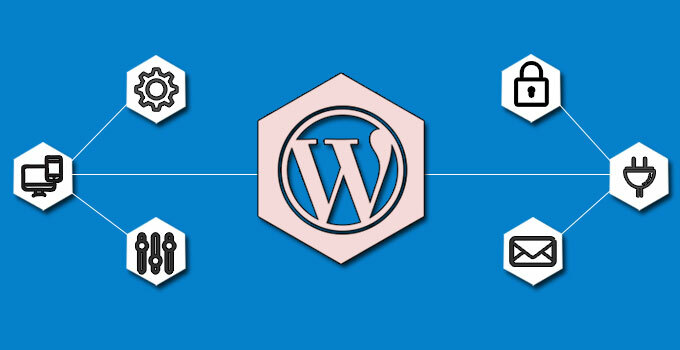 Developing a custom WordPress theme requires in-depth techn﻿ical knowledge and coding experience. Irrespective of how multitalented you or your in-house WordPress team is, the fact is that your all WordPress coding skills prove quite limited in the situation when you need to incorporate a special custom functionality to your WordPress theme. On the other side, an offshore WordPress development agency eats, breathes and lives the WordPress and therefore is able to easily do everything that your in-house developers sometimes may not be capable of doing. In today’s fast-paced digital world, technology changes every second day. This can be judged by the fact that WordPress itself gets 2-3 updates a year. When you work with a reputable custom WordPress theme development agency, you can be assured about the quality and reliability of the code as their developers always keep themselves up to date with what’s new and happening in the world of WordPress in order to stay employed. In case of an in-house development team, it gets tricky for a developer to stay universally up-to-date and competitive due to lack of enough development work. Did you know you can save up to 40% of total development costs when working with a right WordPress development agency remotely instead of building an in-house team of dedicated employees? Wondering, how? Well, outsourcing your project to a WordPress development firm simply means neither you have to hire a qualified staff and manage human resources nor you’ll be required to purchase expensive hardware and software. Needless to say, this saves a lot of money and takes a lot of burden off your shoulders financially. In any business, time is money. Outsourcing your WordPress theme development project saves you a lot of your precious time which you often waste in the quest for in-house developers. When outsourcing, not only you get your WordPress theme developed in the shortest possible time, but also you need not to worry about various employee concerns like national holidays, days off, and vacations, etc. Ideally, a task that your employee takes 4 hours to complete can be completed in just 30 minutes by a qualified agency. Building a WordPress site is definitely not a one-time process. Rather, it is an ongoing process that requires regular inspection and maintenance in order to keep up with the latest WordPress updates and coding standards. Although in-house development team is able to analyze and maintain your WordPress site regularly, assigning the task of maintenance simply means you’re dismissing half of your dedicated team. In such a situation, you may need to further expand your in-house team to get your development work done. On the contrary, a WordPress Development Company is able to quickly shuffle or expand the team as it works according to with the current state of the project. Being well aware of how competitive the WordPress industry is, an outsource team writes every single line of code with future compatibility in mind. You always get only the best of latest technologies along with the ability to incorporate forthcoming features into your WordPress theme anytime. On the other hand, in-house developers write codes with only current standards in mind, thinking that any changes will be carried out by other developers in future if needed and thereby leaving little or no room for the future improvement. Outsourcing your WordPress project to an agency means you’re going to gain access to other valuable resources, like search engine optimization and branding, needed to globalize your WordPress-powered business. Along with the WordPress development, many companies also offer SEO and marketing services to their clients at a very economical price. Instead of finding these resources one by one on your own, you can hire them all from a single place and maintain a competitive edge in today’s fast-paced digital world. On the other side, your in-house team is limited to just WordPress theme development. And most importantly, by delegating your WordPress theme development task to an external agency, you can focus on what matters most to you and your business. Unlike your in-house development team that costs you precious time and money and still often fails to deliver your expected results, outsourcing frees up your time, energy and money for other important business-related tasks. This helps your business to grow and expand much more quickly and efficiently in the long-run. WORDPRESS HOSTING: WHICH IS THE BEST WORDPRESS HOST?